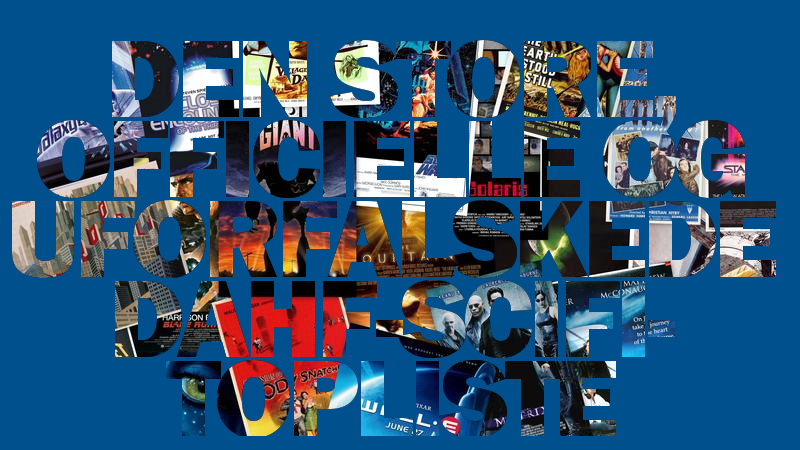 Science fiction er en genre, som jeg brænder meget for, og den favner virkelig bredt - det har man også kunnet se på de forskellige lister. Den ene mands sci-fi er den andens komedie, thriller eller drama, og hvis vi havde skåret konceptet strammere til, ville der nok have været film, der havde fået flere stemmer (Mad Max 4 og Children of Men fx.). ... Nå, nu skal vi jo heller ikke afsløre for meget allerede nu Først får i listen, og så følger der lidt bonusinfo til sidst. Enjoy! Senest rettet af Buck Rogers fre sep 25, 2015 10:20, rettet i alt 1 gang. #25 / 95 pt. - Escape From New York (John Carpenter, 1981) - 99 min. Synopsis: he film is set in a then near-future 1997 in a crime-ridden United States that has converted Manhattan Island in New York City into a maximum security prison. Ex-soldier Snake Plissken (Kurt Russell) is given 22 hours to find the President of the United States (Donald Pleasence), who has been captured by prisoners after the crash of Air Force One. #24 (delt) / 100 pt. - Metropolis (Fritz Lang, 1927) - 153/118/148 min. Synopsis: In a futuristic city sharply divided between the working class and the city planners, the son of the city's mastermind falls in love with a working class prophet who predicts the coming of a savior to mediate their differences. #24 (delt) / 100 pt. 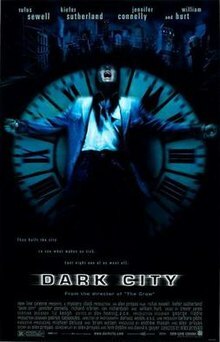 - Dark City (Alex Proyas, 1998) - 100/111 min. Synopsis: John Murdoch, an amnesiac man finds himself suspected of murder. Murdoch attempts to discover his true identity and clear his name while on the run from the police and a mysterious group known only as the "Strangers". #22 / 116 pt. - Total Recall (Paul Verhoeven, 1990) - 100/111 min. Synopsis: Arnold Schwarzenegger plays a 21st-century construction worker who discovers that his entire memory of the past derives from a memory chip implanted in his brain. Schwarzenegger learns that he's actually a secret agent who had become a threat to the government, so those in power planted the chip and invented a domestic lifestyle for him. Once he has realized his true identity, he travels to Mars to piece together the rest of his identity, as well as to find the man responsible for his implanted memory. Senest rettet af Buck Rogers tors sep 24, 2015 9:53, rettet i alt 3 gange. #21 / 118 pt. - Interstellar (Christopher Nolan, 2014) - 169 min. #20 / 123 pt. 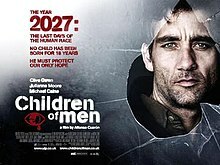 - Children of Men (Alfonso Cuarón, 1998) - 109 min. Synopsis: A futuristic society faces extinction when the human race loses the ability to reproduce. England has descended into chaos, until an iron-handed warden is brought in to institute martial law. The warden's ability to keep order is threatened when a woman finds that she is pregnant with what would be the first child born in 27 years. #19 / 124 pt. - Jurassic Park (Steven Spielberg, 1993) - 127 min. Synopsis: Two dinosaur experts -- Dr. Alan Grant (Sam Neill) and Dr. Ellie Sattler (Laura Dern) are invited by eccentric millionaire John Hammond (Richard Attenborough) to preview his new amusement park on an island off Costa Rica. By cloning DNA harvested from pre-historic insects, Hammond has been able to create living dinosaurs for his new Jurassic Park, an immense animal preserve housing real brachiosaurs, dilophosaurs, triceratops, velociraptors, and a Tyrannosaur Rex. Accompanied by cynical scientist Ian Malcolm (Jeff Goldblum), who is obsessed with chaos theory, and Hammond's two grandchildren (Ariana Richards and Joseph Mazzello), they are sent on a tour through Hammond's new resort in computer controlled touring cars. But as a tropical storm hits the island, knocking out the power supply, and an unscrupulous employee (Wayne Knight) sabotages the system so that he can smuggle dinosaur embryos out of the park, the dinosaurs start to rage out of control. Senest rettet af Buck Rogers tors sep 24, 2015 9:56, rettet i alt 2 gange. #18 (delt) / 130 pt. - E.T. 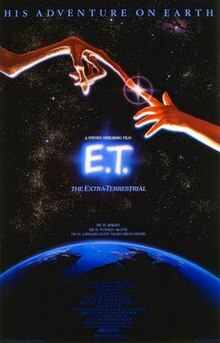 - The Extra Terrestrial (Steven Spielberg, 1981) - 114 min. Synopsis: Elliott is a lonely boy who befriends an extraterrestrial, dubbed "E.T. ", who is stranded on Earth. He and his siblings help it return home while attempting to keep it hidden from their mother and the government. #18 (delt) / 130 pt. 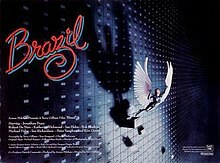 - Brazil (Terry Gilliam, 1985) - 143 min. Synopsis: Sam Lowry is a man trying to find a woman who appears in his dreams while he is working in a mind-numbing job and living a life in a small apartment, set in a consumer-driven dystopian world in which there is an over-reliance on poorly maintained (and rather whimsical) machines. #16 / 134 pt. - The Terminator (James Cameron, 1984) - 107 min. 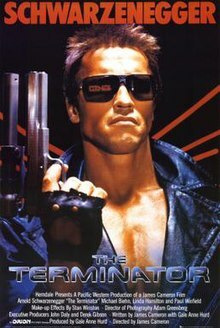 Synopsis: Schwarzenegger plays the Terminator, a cyborg assassin sent back in time from the year 2029 to 1984 to kill Sarah Connor, played by Hamilton, whose son will one day become a savior against machines in a post-apocalyptic future. Biehn plays Kyle Reese, a soldier from the future sent back in time to protect her. Senest rettet af Buck Rogers tors sep 24, 2015 9:57, rettet i alt 2 gange. #15 (delt) / 144 pt. - Minority Report (Steven Spielberg, 2002) - 145 min. Synopsis: Tom Cruise stars as John Anderton, a Washington, D.C. detective in the year 2054. Anderton works for "Precrime," a special unit of the police department that arrests murderers before they have committed the actual crime. Precrime bases its work on the visions of three psychics or "precogs" whose prophecies of future events are never in error. When Anderton discovers that he has been identified as the future killer of a man he's never met, he is forced to become a fugitive from his own colleagues as he tries to uncover the mystery of the victim-to-be's identity. When he kidnaps Agatha (Samantha Morton), one of the precogs, he begins to formulate a theory about a possible frame-up from within his own department. #15 (delt) / 144 pt. - Close Encounters of the 3rd Kind (Steven Spielberg, 1977) - 137/135/132 min. Synopsis: The story of Roy Neary, an everyday blue collar worker in Indiana, whose life changes after an encounter with an unidentified flying object (UFO). #13 / 146 pt. - Moon (Duncan Jones, 2009) - 97 min. Synopsis: An astronaut miner extracting the precious moon gas that promises to reverse the Earth's energy crisis nears the end of his three-year contract, and makes an ominous discovery in this psychological sci-fi film starring Sam Rockwell and Kevin Spacey. Senest rettet af Buck Rogers tors sep 24, 2015 9:59, rettet i alt 1 gang. Go'e gamle Tom Cruise er også med i fire film, der er blevet stemt på - hvordan skal det dog gå ham på resten af listen? Nå, det må vi se nærmere på! Jøsses et fornemt stykke arbejde Bucky boy! Super arbejde og præsentation Buck Rogers. Er du nu helt sikker? Sådan helt, helt sikker?